Qatar is a financial hub, a global business center and a renowned tourist destination in the Middle East. The country is one of the fastest growing countries in the world, especially now that it prepares to host the FIFA World Cup in 2022. As a result of this significant growth and development, Qatar is welcoming a multitude of visitors, investors and expats day after day. And to accommodate the growing number of residents, the government is working on developing new areas in Qatar, as well as revamping old established areas and building new residential projects. One of the established areas currently witnessing a lot of action is Al Kheesa. Al Kheesa is an area in the municipality of Al Daayen. The name Al Kheesa is derived from the Arabic word for 'large garden'. The area was given this name because of its lush gardens and the abundance of cedar trees. Located 3 km south of Rawdat Al Hamama, the government is developing Al Kheesa to serve as a residential hub for the southern sector of Al Daayen Municipality. It is planned to house up to 25,000 residents In the future. Properties for rent in Al Kheesa are growing in popularity every day. They are also growing in number. To find the perfect property among the available properties for rent in Al Kheesa you must first establish your requirements. You need to determine the size of the property you need and the budget you can spend. You can find a wide array of properties for rent in Al Kheesa. Residential properties for rent in Al Kheesa range from cozy studios to comfortable apartments to spacious villas. 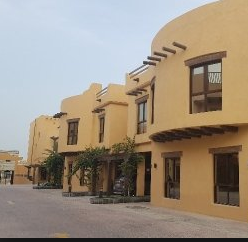 You can also find a wide variety of commercial properties for rent in Al Kheesa. Because the area is old and established, it features excellent amenities, great facilities and premium infrastructure. Al Kheesa also features a huge selection of shopping and dining facilities and excellent services. First-rate medical facilities are available in the area, as well as world-class schools and nurseries. Whatever your prerequisites may be, you will probably find them among properties for rent in Al Kheesa. Why choose to rent a property in Al Kheesa? Qatar is home to diverse nationalities and a lot of international businesses. It is a rapidly growing country with new developments and projects constructed every day. One of the areas seeing a lot of development nowadays is Al Kheesa. Properties for rent in Al Kheesa make a wonderful choice for a home or a great place for business. You can find furnished, unfurnished or semi-furnished properties for rent in Al Kheesa. And all of which are great. Al Kheesa is a very popular housing choice among families as the area is quiet and family-friendly.